For years, Sikhs and others have played with the phrase “Sikh and you shall find.” The problem – the phrase relies on a mispronunciation of the word Sikh. Jatinder Singh with the Sikh Youth of Victoria said the pronunciation likely dates back to the British India period. He explained, when he speaks English he says Sikh [seek] while in Punjabi he says Sikh [si-ckh]. For decades, broadcasters and others have used the anglicized pronunciation of Sikh. Singh believes there’s a movement of younger people who want to reclaim the pronunciation. “I think it’s amazingly welcome,” said Amanjot Kaur who travelled from Metro Vancouver for what organizers say was the first-ever Vaisakhi celebration at the legislature. She’s with an organization called Khalsa Aid. Kaur said she’s forced herself out of her comfort zone to tell people how to pronounce her name. Yet she says no one has ever taken offense. “I’d love to see it a step further,” Kaur told CTV. She says technically in Punjabi, Sikhism isn’t a word, and instead Sikhi should be used. Vaisakhi celebrates the founding of the Sikh religion and also the spring harvest. Around the world, celebrations will take place, including hundreds of thousands of people gathering in Surrey. Metro Vancouver has one of the largest Sikh populations outside of India. 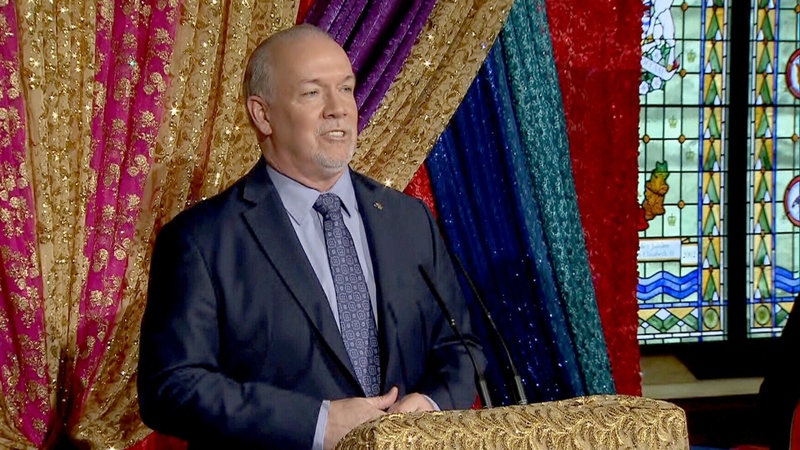 At the event, Premier John Horgan listed off seven MLAs who are all from Sikh backgrounds and spoke about reflecting the diversity of the province. During his remarks, he made an effort to use the Punjabi pronunciation. Horgan later told CTV he was told how to properly pronounce Sikh. “When you have politicians using the correct pronunciation it spreads it to the wider and broader community,” explained Singh. He helped organized the event. “Even something so simple as pronouncing the word Sikh the way it’s meant to be, it’s emotional,” said Talveen Gill who spoke during the celebration. She said while growing up she often looked for role models and often didn’t find any. She says now many Sikhs have become the role models they are looking for. For her, the event was a long time coming.